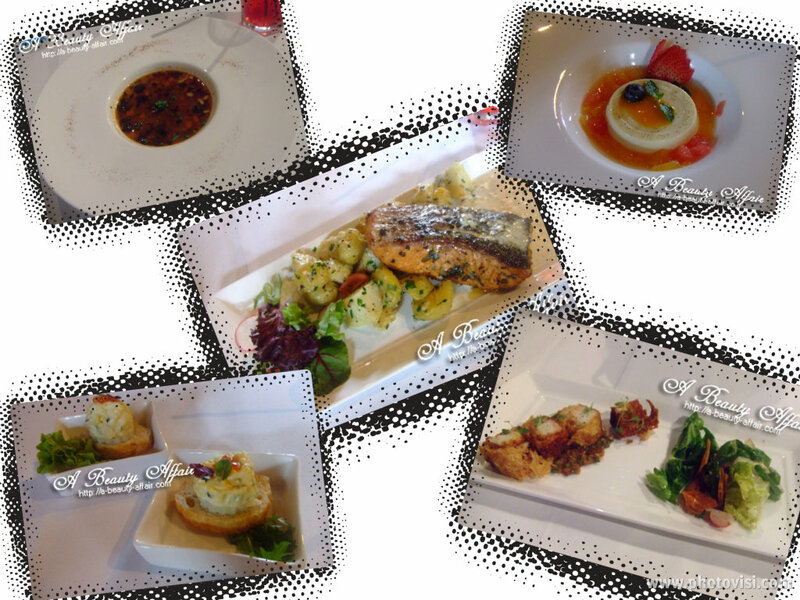 We had a delicious 4-course meal during the session and my guest was dear June and interestingly, it was a part-time job stint at L'oreal that brought us together. 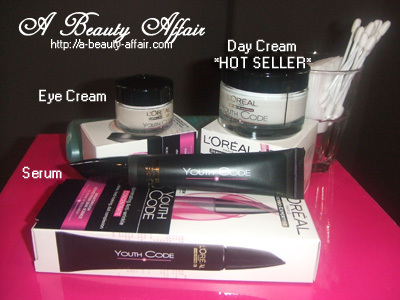 My first skincare range was by L'oreal Hydrafresh; which I had bought from her to support her during one of their roadshows. Can you believe that 6 years ago as in that photo, I could do without any sunblock, toner or moisturizer and still had skin that looked pretty good... But not now. 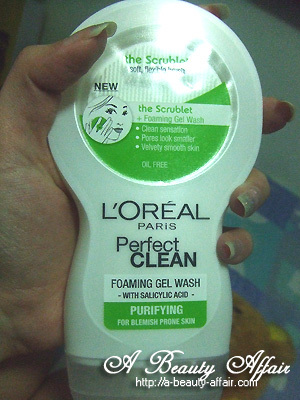 And finally, let's get down to details for the latest cleansers by L'oreal. We're first in Asia to have these on our shelves. 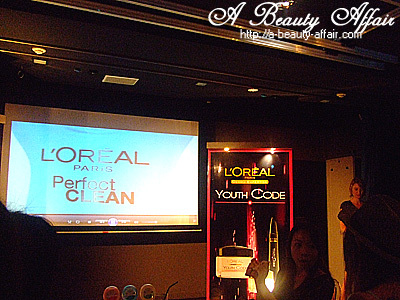 Presenting the L'Oréal Paris New Perfect Clean range! Get ready to fall in love with a new facial cleansing ritual that combines pleasure and pure effectiveness! 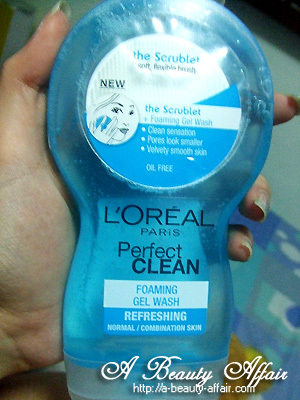 L'Oréal Paris introduces the New Perfect Clean range; it comes with 4 customized formulas to suit all skin types and a Scrublet™, with 500 soft flexible bristles to gently but effectively cleanse your skin pore by pore! 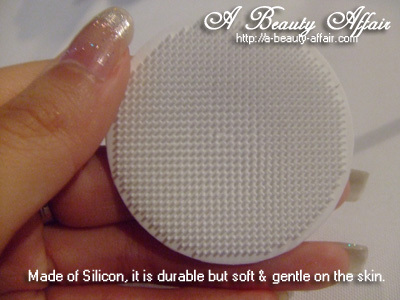 There are a total of 3 different types + 1 exfoliating scrub so that you can pick one that's suitable for your skin type. This one is a foaming gel wash that comes with salicylic acid, it's a clear gel type that foams as you massage and smells really soothing. I'm loving the citrus scent on this one. The granules are so tiny, you do not even really feel it. 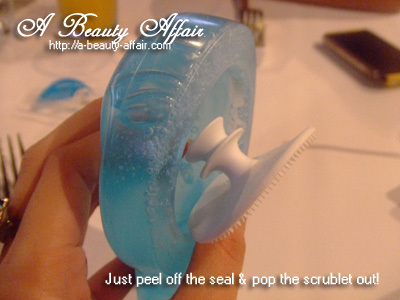 This makes it gentle enough to be used on the face. 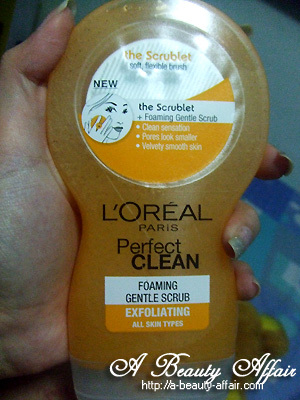 Scrubs that contain exfoliating bits which are too big or rough are too harsh and cause damage to our skin. 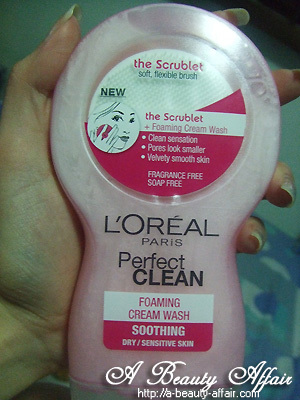 This range comes with an innovative scrub, which L'oreal has affectionately named as the scrublet. 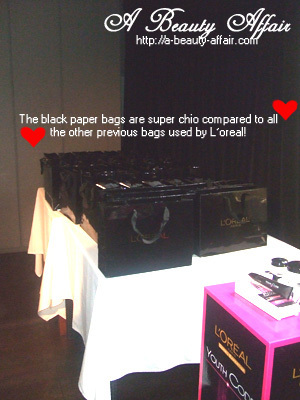 How thoughtful of L'oreal to come up with this neat design! So earlier on, I mentioned that I was upset that as I aged, my skin is showing signs of more 'wear & tear' too. 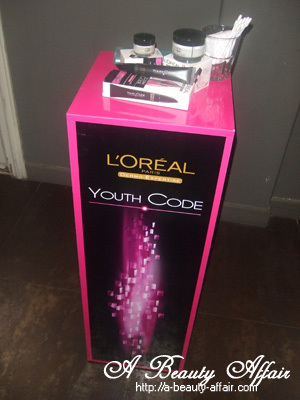 Well, thanks to L'oreal, we now have the Youth Code to combat it! L'oreal has teamed up with the St-Louis Hospital Skin Research Institute to understand the dynamics of skin recovery in terms of genes involved with repair. They ran some tests and discovered that there were 184 repair genes identified. 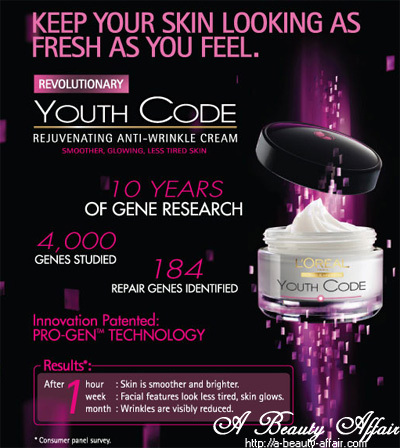 The Pro-Gen technology was born and the Youth Code range contains this revolutionary new science. 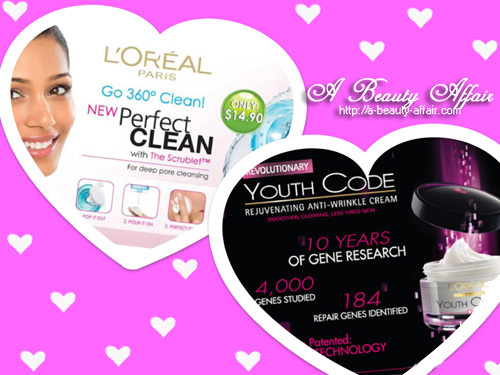 These repair genes are responsible for reconstructing our skin and renewing it. I simply can't wait to try it on my face. 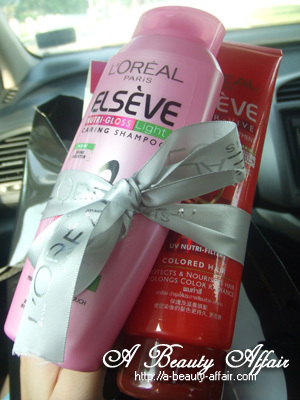 L'oreal was also really sweet to give us their Elseve hair care range! 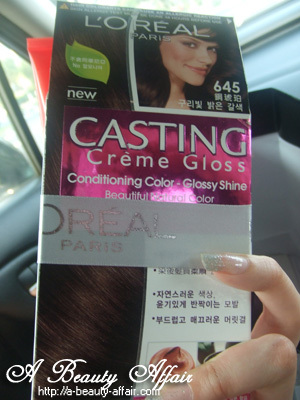 I hope this one which is targeted at colored hair will not be too rich and nourishing till it causes dandruff for me. Pssst.... Youth Code can be found at Watson stores now. Do check them out!